Have you decided to open a restaurant? Has it been something you've thought of doing for years and are finally in a position to make it happen? Regardless of how many friends have assured you it will be a success or how many countless hours you've spent coming up with the concept in your head, without properly planning for it your restaurant is doomed for failure. That's where a restaurant business plan comes in. A restaurant business plan is the framework from which you can start to piece together everything from your restaurant management to menu design and develop your restaurant ideas into a reality. Read on for everything you need to know about writing a restaurant business plan along with samples and tips. Why is a Restaurant Business Plan Important? Taking the time to put together a well thought out restaurant business plan is not something many wannabe restaurant operators do. The process might be a bit difficult and time consuming, but without a proper restaurant business plan, no investor will give you the funding to open your restaurant and even if they do you'll already be off to a rough start without the right mindset. Your restaurant business plan is what is going to map out how you plan on turning a profit from your business as well as where your restaurant fits into the saturated market and how you plan on standing out. 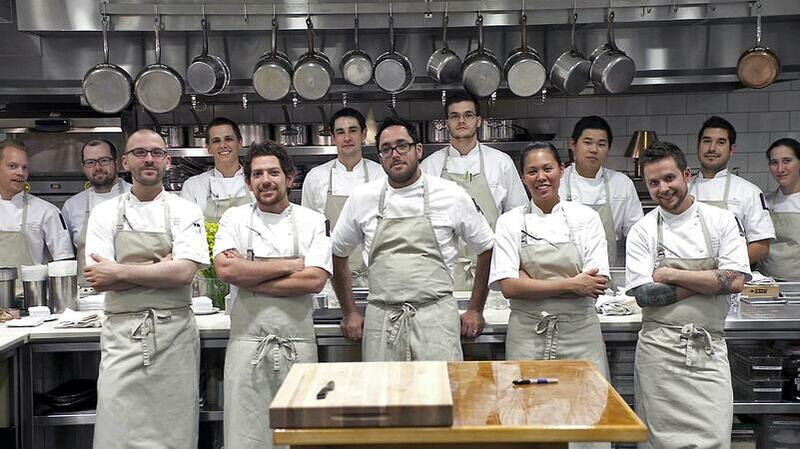 A little time and pain early on is worth the reward of a successful restaurant in the long run. How to Write a Restaurant Business Plan? Restaurant business plans vary from person to person, depending on the type of restaurant and and location. Below, we have highlighted the key steps you need to take when writing a restaurant business plan that are common across most restaurants. Depending on who you are presenting your business plan to, you can change the order of the sections to reflect priority. A restaurant business plan should always begin with an executive summary. An executive summary not only acts as the introduction to your business plan, but also a summary of the entire idea. The main aim of an executive summary is to draw the reader (often times an investor) into the rest of your business plan. An executive summary is imperative for those looking to get investors to fund their project. Instead of having to comb through the entire restaurant business plan to get all the information, they can instead just look through the executive summary. This is the part of the restaurant business plan where you fully introduce the company. Start this section with the name of the restaurant you are opening along with the location, contacts, and other relevant information. Also include the owner’s details and a brief description of their experience. The second part of the company description should highlight the legal standing of the restaurant and outline the restaurant’s short and long term goals. Provide a brief market study showing that you understand the trends in the regional food industry and why the restaurant will succeed in this market. The market analysis portion of the restaurant business plan is typically divided into three parts. What is your target market? What demographics will your restaurant cater to? This section aims to explain your target market to investors and why you believe guests will choose your restaurant over others. It's easy to assume that everyone will visit your restaurant, so it is important to research your competition to make this a reality. What restaurants have already established a customer base in the area? Take note of everything from their prices, hours, and menu design to the restaurant interior. Then explain to your investors how your restaurant will be different. Your investors are going to want to know how you plan to market your restaurant. 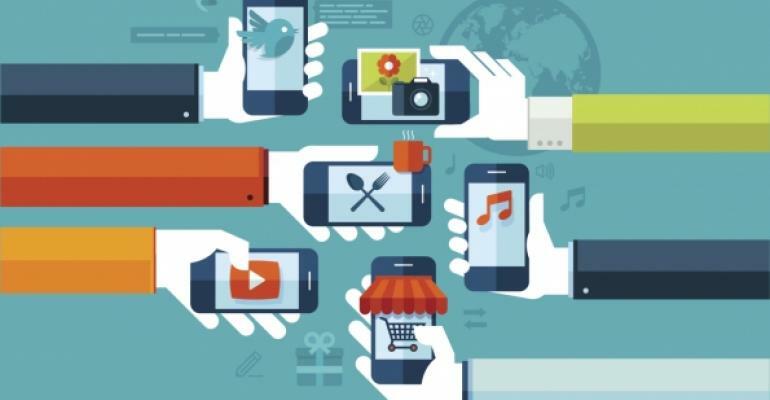 How will your marketing campaigns differ from what is already being done by others? How do you plan on securing your target market? What kind of offers will you provide your guests? Make sure to list everything. The most important element to launching your restaurant is by far the menu. Without it your restaurant has nothing to serve. At this point you probably don’t have a final version, but for a restaurant business plan you should at least try to have a mock-up. Add your logo to the mock-up and choose a design that you can see yourself actually using. If you are having trouble coming up with a menu design or don’t want to pay a designer, there are plenty of resources online to help. The key element of your sample menu though should be pricing. Your prices should reflect the cost analysis you’ve done to investors. This will give them a better understanding of your restaurant’s target price point. You'll quickly see how important menu engineering can be, even early on. The company description section of the restaurant business plan briefly introduces the owners of the restaurant with some information about each. This section should fully flesh out the restaurant management team. The investors don’t expect you to have your entire team selected at this point, but you should at least have a couple of people on board. Use the talent you have chosen thus far to highlight the combined work experience everyone is bringing to the table. The design portion of your restaurant business plan is where you can really show off your thoughts and ideas to the investors. If you don’t have professional mock-ups of your restaurant rendered, that’s fine. Instead put together a mood board to get your vision across. Find pictures of similar aesthetic to what you are looking for in your restaurant. The restaurant design extends beyond aesthetics alone, and should include everything from restaurant software to kitchen equipment. The location you end up choosing for your restaurant should definitely be in line with your target market. At this point you might not have a precise location set aside, but you should have a few to choose from. When describing potential locations to your investors, you want to include as much information as possible about each one and why it would be perfect for your restaurant. Mention everything from square footage, to typical demographics. The market overview section is heavily related to the market analysis portion of the restaurant business plan. In this section, go into detail about both the micro and macro conditions in the area you want to set up your restaurant. Discuss the current economic conditions that could make opening a restaurant difficult, and how you aim to counteract that. Mention all the restaurants that could prove to be competition and what your strategy is to set yourself apart. With restaurants opening left and ride nowadays, the investors are going to want to know how you will get word of your restaurant to the world. The marketing and publicity section should go in detail on how you plan to market your restaurant before and after opening. As well as any plans you may have to bring a PR company on board to help spread the word. To make your restaurant a reality, you are going to need a lot of help. List any external company you plan on hiring to get your restaurant up and running. This includes everything from accountants and designers to suppliers. Explain to your investors the importance of each and what they will be doing for your restaurant. The most important part of your restaurant business plan is the financials section, and as a result, you should make sure to hire professional help. Hiring a trained accountant will not only help you get your financial estimates in order, but also give you a realistic look into owning a restaurant. You should have some information prepared to make this step easier on the accountant. He/she will want to know how many seats your restaurant has, what the check average per table will be, and how many guests you plan on seating per day. In addition to this, doing rough food cost calculations for various menu items can help estimate your profit margin per dish. This can be achieved easily with a free food cost calculator. 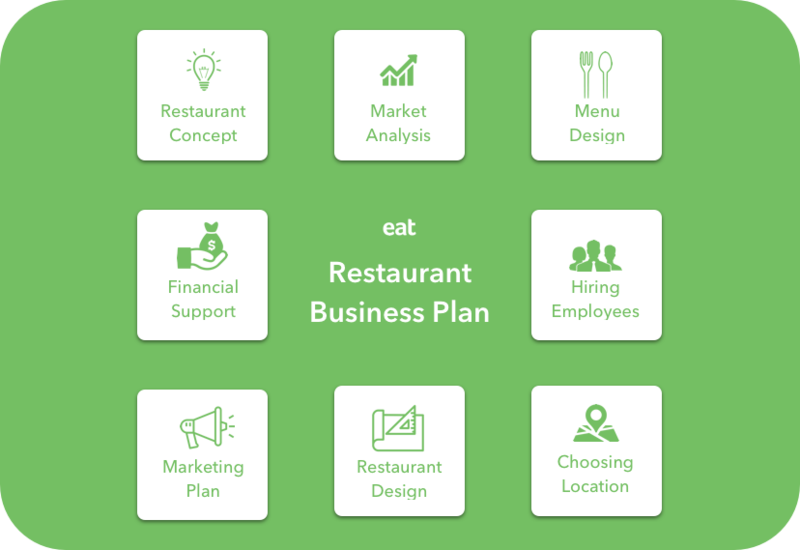 The team at Bplans have put together an exhaustive list of restaurant business plan samples perfect for any establishment type. A few of the most popular ones can be found at the links below. If you are looking for some more inspiration, check out the article 126 expert ideas for your restaurant business plan. It has tips from experts in the restaurant and hospitality industry on how to start and run a successful restaurant.